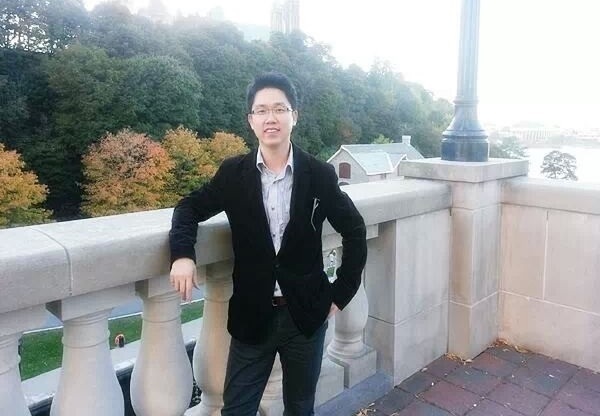 Tae J. Kwon completed a Ph.D. study under supervision of Dr. Liping Fu at the University of Waterloo. His PhD dissertation title is “Development and Evaluation of Models and Algorithms for Locating RWIS Stations”. In the past, he studied satellite remote sensing, more specifically in developing image classification/segmentation algorithms. He has published numerous conference and journal papers during his graduate studies. He is currently working on a follow-on research project to “RWIS Density and Location Optimization”, funded by AURORA, an international partnership of public road agencies. Kwon, T.J., Li, J., & Wong, A. (2012). ETVOS : An Enhanced Total Variation Optimization Segmentation Approach for SAR Sea-Ice Image Segmentation, IEEE Transactions on Geoscience and Remote Sensing, 51(2), 925–934. Kwon, T.J., T Chin, Hilbert W. (2009). High Resolution Stereo Satellite Imagery for the Extraction of 3-D Highway Parameters, Published in 2009 Canadian Society for Civil Engineering (CSCE) Annual Conference Proceedings, St John’s, Canada. Kwon, T.J., & Li, J. (2012). Mapping Marine Oil Spills from Space. In J. Yangm X., & Li (Ed. ), Advances in Mapping from Remote Sensor Imagery (pp. 361–386). CRC Press, Taylor & Francis. Kwon, T.J. (2013). Optimal Density and Location of an RWIS Station. Invited Talk at the Korean Transport Institute (KOTI), Seoul, August, 2013. Kwon, T. J. (2012). Method for Locating RWIS Stations. Invited Talk at the Aurora Board Meeting, Toronto, Canada, October, 2012. Kwon, T. J. & Fu, L. (2012). Data for Performance Measurement. Professional Development Workshop, CSCE Conference, Edmonton, Canada, June, 2012. Kwon, T. J., Fu, L., & Perchanok, M. (2016). Spatiotemporal Variability of Road Weather Conditions and Optimal RWIS Density – Case Studies. Presented at the 95th Annual Meeting of the Transportation Research Board, Washington, D.C., Jan 2016. Kwon, T. J., & Fu, L (2014). Development and Evaluation of Models and Algorithms for Locating RWIS Stations, 2nd International Symposium & Exhibition on Winter Road Maintenance (Aug 19-21) , Harbin, China. Kwon, T. , & Fu, L. (2013). Evaluation of alternative criteria for determining the optimal location of RWIS stations at regional level. Annual meeting of the Transportation Association Canada (Apr 13), Ottawa, ON., Canada. Kwon, J. & Fu, L. (2012). Effect of Inclement Weather Conditions on Macroscopic Traffic Behaviour. The 9th International Transportation Specialty Conference, Canadian Society for Civil Engineering (June 4-7), Edmonton, AB., Canada. Kwon, T. , T Chin, & Hilbert W. (2009). High Resolution Stereo Satellite Imagery for the Extraction of 3-D Highway Parameters, Canadian Society for Civil Engineering (CSCE) Annual Conference, St John’s, Canada.